Healthy, gluten free pizza crust recipes are all over the net, but I’ve always been deterred by making any of them because frankly, it had too many steps to make an entire pizza that’s going to be downed in one sitting (the pizza monster in me is fierce!). 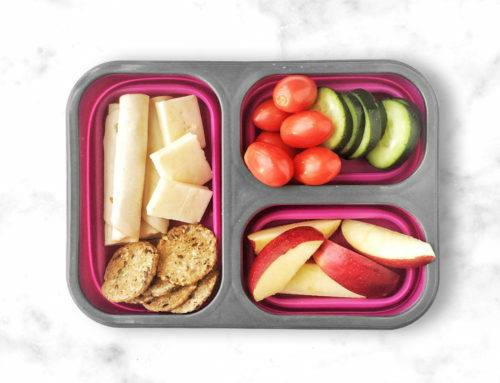 Whenever I’m designing the recipes for my Group Cleanses I always try to put myself in my clients’ shoes and think: What is it that they are going to crave or miss when doing a Challenge that involves eliminating all the common food intolerances that people eat pretty often like BREAD and CHEEEESE! 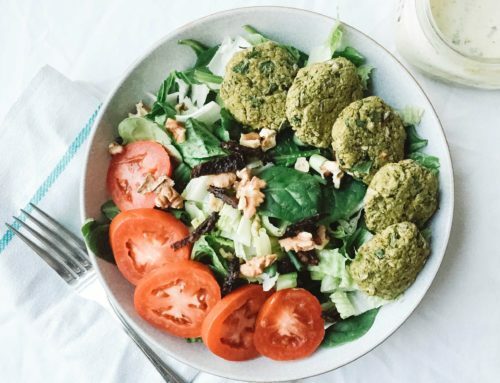 So as much as I love a traditional cheesy gluten filled pizza, I also love creating healthier alternatives to enjoy more often that doesn’t leave my stomach in knots! 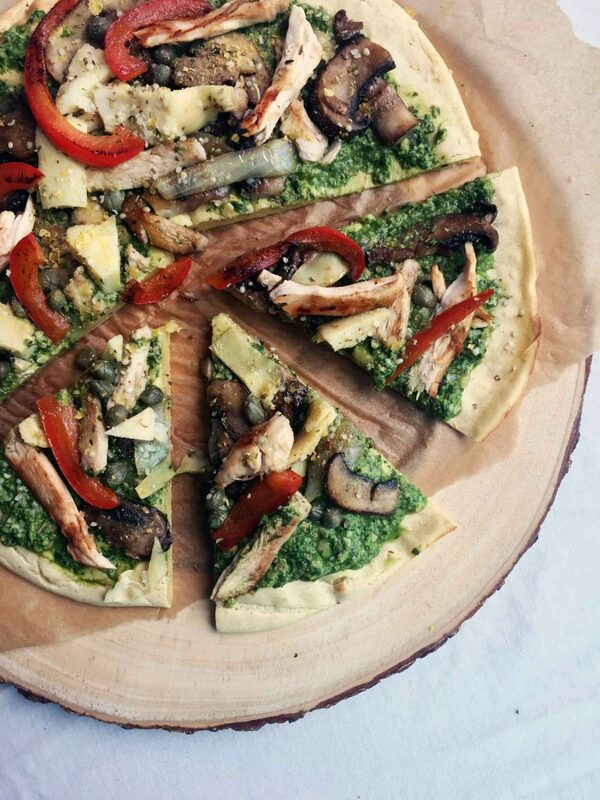 So how do I healthify pizza without all the fuss? 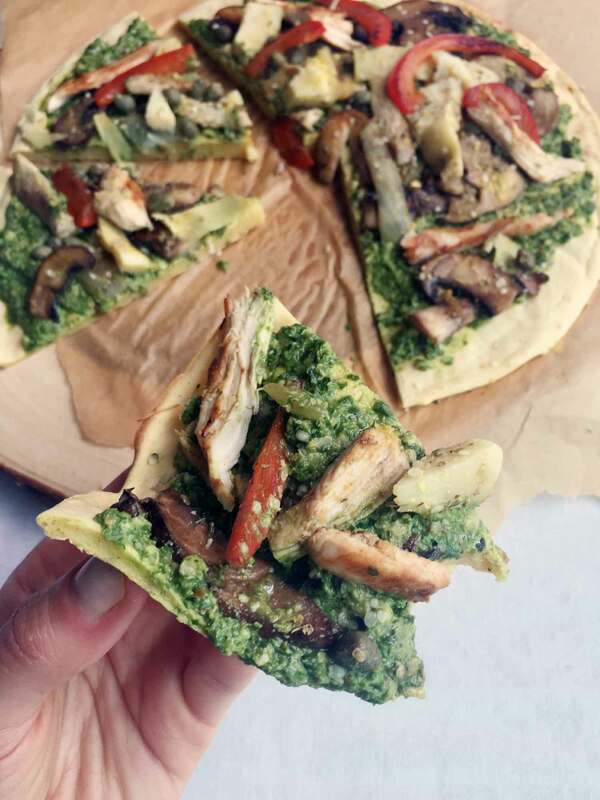 Throw a plantain and a few ingredients in a blender to make a crust and top it with vegan pesto! 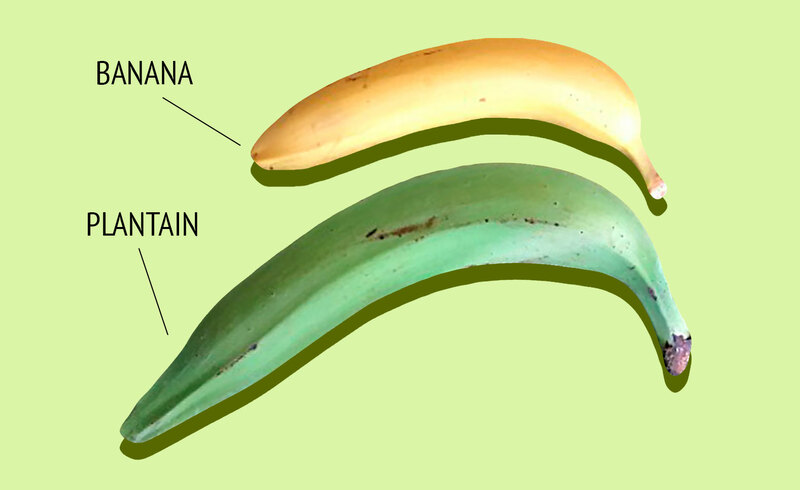 A common staple fruit in Latin, African or Caribbean cuisine, plantain is that Hulk-looking banana doppelgänger you may have noticed in your local market but never really thought to experiment with, but you’ll soon find out it’s quite the versatile fruit! Just like the common nanner, it’s a good source of potassium and vitamin C, except it contains less sugar and higher in starch, making it a great carbohydrate choice to consume post workouts. My first experience eating plantains was in chip form many moons ago, and deep fried in crappy vegetable oils haha, now I make plantain chips at home, sliced into 1/2 inch coins and lightly fried in coconut oil and it’s the best snack to tame my carb cravings! The greener (under ripe) they are the more they taste like a white potato, plantains with yellow to blackened skins taste like a banana. Preheat oven to 400F. In a hi-speed blender, purée plantain, arrowroot starch, egg, baking powder, sea salt, and 1 tablespoon of apple cider vinegar together until smooth and creamy. Pour this mixture onto a parchment-lined baking sheet. Spread out with a spatula until the mixture is an even ½” thick. Bake for 15-18 minutes, or just until the crust turns a light golden brown. Remove and cool slightly. 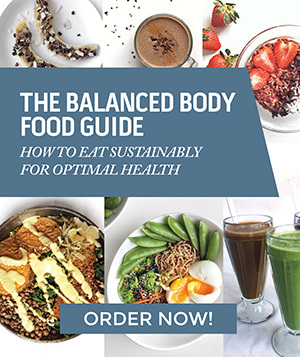 *You could also try substituting the arrowroot starch with either tapioca starch, almond flour or 2 tablespoons of coconut flour. Pulse all the ingredients in the blender until a loose paste forms. 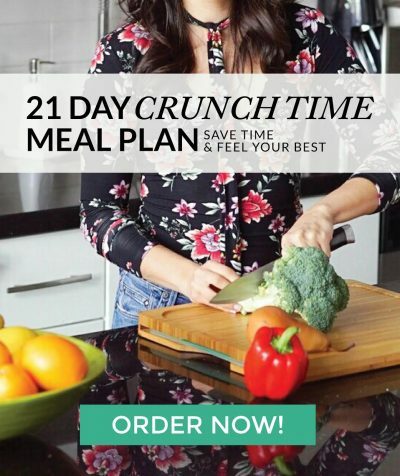 If you’re looking for more recipes to inspire you and kickstart your health this Spring, be sure to check out my 21 Day Crunchtime Meal Plan, full of batch cooking recipes to save you time in the kitchen so you’re prepared with healthy dishes and snacks everyday!